A Writer’s Path is open for people/companies to advertise their books or services. 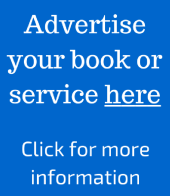 I’m also accepting advertisements on The Book Review Directory. A 6 month or 1 year sidebar advertisement on every page and post (see the two right sidebars of this page for examples). Our editorial staff will read your book in-full.